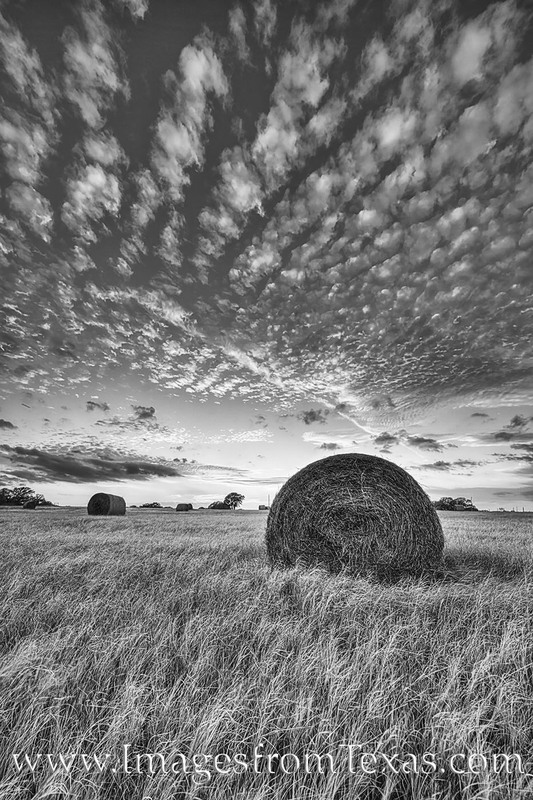 This black and white image of Texas hay bales at sunset was taken on a cool winter eveninig. The clouds overhead were amazing, and the black and white contrast of this photo left me pleased with the final look of this photograph. Photo © copyright by Rob Greebon.